ZM SILESIA SA is a company with more than 170 years of experience in zinc metallurgy and processing. Since its setting up in XIX century it has had a reasonable influence on the development of zinc industry in Poland and Europe. The beginnings of the company and its early development took place in two independent plants – one in Świętochłowice Lipiny and the second in Katowice Wełnowiec. The older plant in Lipiny was found in 1847 as ‘Konstancja’ Zinc Works (Huta „Konstancja”). It was raised by count Carl Lazarus Henckel von Donnersmarck, the then owner of Lipiny settlement. In 1853 the factory became the property of Silesian Joint Stock Company for Zinc Mining and Metallurgy (Śląska Spółka Akcyjna dla Górnictwa i Hutnictwa Cynkowego). In 1859 a steam rolling mill was launched in this plant. Before the First World War the mill was regarded as one of the biggest in Europe. 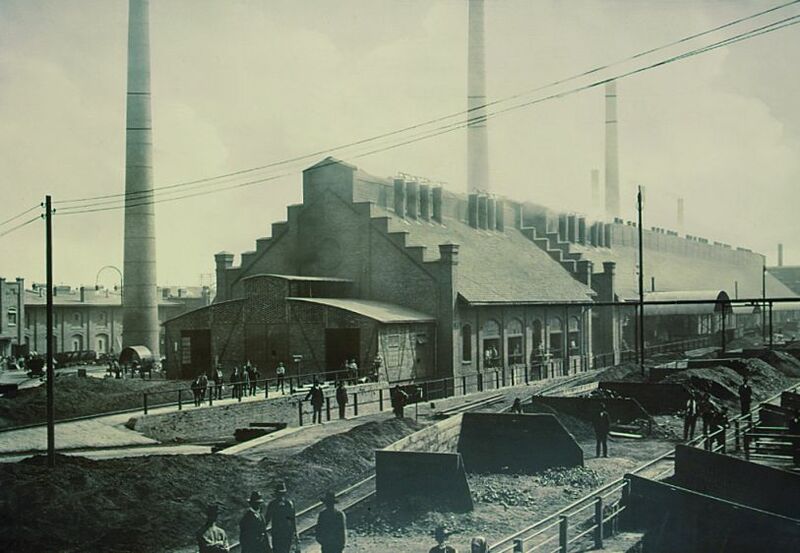 The other zinc plant located in Katowice – Wełnowiec was built in 1873 by the then owner of that territory prince Hugo Hohenlohe-Oehringen. In 1889 zinc sheet rolling mill started to work in this plant. The mill was successively being modernized for manufacturing not only sheets for roof coverings but also sheets for zincography, lithography and for other purposes. As early as the previous century both plants were producing considerable quantities of zinc and zinc products in Silesia region and they both contributed significantly to the economic development on Polish land and were one of the main centers of non-ferrous metals industry in the early period of Polish independence. In 1961 the then Zinc Works ‘Silesia’ (Zakłady Cynkowe „Silesia”) in Świętochłowice Lipiny and Zinc Works ‘Wełnowiec’ (Zakłady Cynkowe „Wełnowiec”) in Katowice merged under the name of Zinc Works ‘Silesia’ (Zakłady Cynkowe „Silesia”) in Katowice. In 1984 the name was changed to Metallurgical Works ‘Silesia’ (Zakłady Metalurgiczne „Silesia”) and on 1st July 1996 they became the wholly-owned company of the polish Treasury. On 1st April 1997 Impexmetal S.A. acquired 75% of the company’s share capital and became the strategic investor. As a result of transformation in 1998-2000 the plant in Lipiny put the end to its economic activity and the manufacturing of its main product – die-casting alloys was moved to the mill in Wełnowiec. In the first quarter of 2000 the production of rectified zinc was abandoned. As the result of transformation the company (at present under the name ZM SILESIA SA) moved from zinc production into zinc products processing. In 2007 ZM SILESIA SA merged with foundry ‘Oława’ (Huta „Oława”) – the producer of zinc white, lead minium and cadmium oxide. At present there are four main categories of products manufactured by ZM SILESIA SA in Katowice: zinc-titanium, zinc and zinc-aluminum wire, zinc anodes and die-casting alloys.